Participation in decision-making is one of the key priority areas of the United Nations agenda on youth. One form of youth participation at the United Nations is through the inclusion of youth delegates in a country’s official delegation to the United Nations General Assembly and various functional Commissions of the Economic and Social Council.The youth delegate programme is coordinated by the Focal Point on Youth at the global level, but it is the responsibility of the Member States to establish a youth delegate programme at the national level, and to decide who will represent the young people of their country. 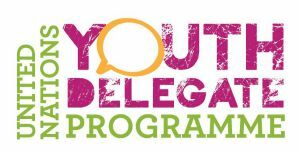 The roles of a youth representative varies from country to country, but normally includes providing input to their delegation on issues related to youth and participate in their delegation’s general work through attending meetings and informal negotiations. First, you have to persuade your country on the importance of having a youth representative in its delegation to the UN General Assembly. And secondly, once they have established the position, you will have to initiate a selection process. Determine whether or not your country currently has a youth representative programme. If it does, inquire through your department of foreign affairs or a national youth council about how the application process works. If your country does not currently have a youth representative programme, you will have to lobby to have one created. This can be done most effectively by working in cooperation with existing youth organizations in your country. Sometimes the process may work very quickly, and sometimes it may take a greater effort to have youth delegates become part of government policy. Write to your minister of foreign affairs (or equivalent), outline the merits of youth delegates, and offer to meet to discuss it further. Contact the Minister for Youth (or equivalent), senior public servants, the Ambassador to the UN, or even the Head of State. You might also try to get letters of endorsement from all of the above, plus key civil society leaders, national and international. After the proposal has been accepted, and a nomination and selection procedure established, the next step would be to apply for the position. * Resources and contributions from youth delegates and others. Youth delegates can participate in any intergovernmental meetings at the United Nations. Most official youth delegates participate in the General Assembly and attend functional Commissions of the Economic and Social Council but increasing official youth delegates have also participated in the High-Level Political Forum on Sustainable Development, the Commission on the Status of Women, the Human Rights Council and others. The Third Committee, the arm of the General Assembly that deliberates on Social, Cultural and Humanitarian Issues. Matters that pertain specifically to youth currently fall under the agenda item called “Social development, including questions relating to the world social situation and to youth, ageing, persons with disabilities and the family”. Generally, this agenda item is considered in the Third Committee of the General Assembly during the month of October, however, this is subject to change based on the annual programmes of work adopted by Member States. The agenda of the General Assembly, including that of its Third Committee, is usually available in late summer at: http://www.un.org/ga. The Commission for Social Development is a functional commission of the Economic and Social Council (ECOSOC). The body is in charge of the follow-up and implementation of the Copenhagen Declaration and Programme of Action of the World Summit for Social Development and meets annually in February for one and a half weeks. It covers key social development themes such as poverty, employment and social integration and the issue of youth falls within the latter. A youth resolution is traditionally adopted every two years. Typically youth delegates that have been selected for the General Assembly also participate in the Commission for Social Development, since the work of the two bodies is closely interlinked. The agenda of the Commission for Social Development, is available. The HLPF is the main United Nations platform on sustainable development and it has a central role in the follow-up and review of the 2030 Agenda for Sustainable Development the Sustainable Development Goals (SDGs) at the global level. The Forum adopts intergovernmentally negotiated political declarations and meets annually under the auspices of the Economic and Social Council (for eight days, including a three-day ministerial segment) and every four years at the level of Heads of State and Government under the auspices of the General Assembly (for two days). The Forum’s first meeting was held on 24 September 2013 and it replaced the Commission on Sustainable Development, which had met annually since 1993. As part of its follow-up and review mechanisms, the 2030 Agenda encourages member states to “conduct regular and inclusive reviews of progress at the national and sub-national levels, which are country-led and country-driven” (paragraph 79). These Voluntary National Reviews are expected to serve as a basis for the regular reviews by the HLPF. As stipulated in paragraph 84 of the 2030 Agenda, regular reviews by the HLPF are to be voluntary, state-led, undertaken by both developed and developing countries, and shall provide a platform for partnerships, including through the participation of major groups and other relevant stakeholders. Increasingly, youth delegates participate in their country’s 2030 Agenda follow-up and review processes at the national level ahead of the Forum, and some are invited to present part of their country’s Voluntary National Review to the Forum.